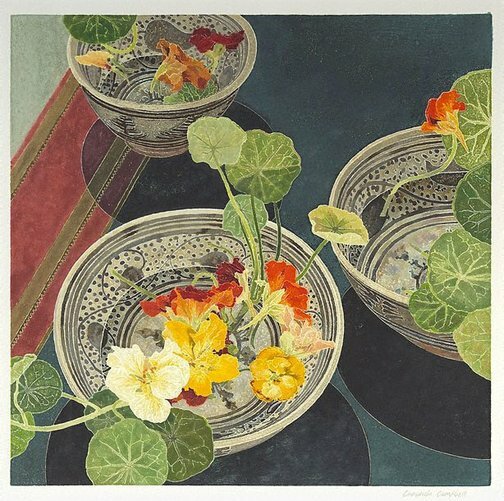 Cressida Campbell is a Sydney-based painter and printmaker who is best known for her unique-state colour woodblock prints, made using techniques she learned at the Yoshida Hanga Academy, Tokyo, Japan in 1980. Increasingly, her work has reflected her interest in the decorative, in her recent compositions of interiors and still lifes. Signed l.r., pale grey watercolour "Cressida Campbell". Not dated.